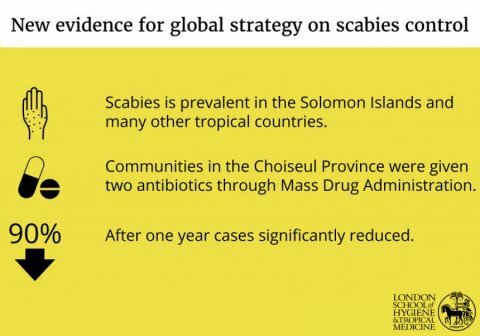 Lucia Romani, Michael Marks, Oliver Sokana et al Efficacy of mass drug coadministration of ivermectin and azithromycin for control of scabies and impetigo: a single-arm community intervention trial. Lancet Infect Diseases. DOI:10.1016/S1473-3099(18)30790-4.